Donald Trump wants to make a deal with North Korea. But it’s not clear what he’s willing to deal with to do so. The big question hanging over the president’s historic summit with Kim Jong-un in Singapore next week has been what the United States is prepared to call a diplomatic success. National security adviser John Bolton tried to define that term as nothing less than immediate and total nuclear disarmament — and Pyongyang responded by threatening to withdraw from the meeting. Now, it appears that the White House leadership has settled on a slightly more ambitious version of that objective. According to Bloomberg, Trump will ask Kim to commit to abandoning his nukes — but won’t force him to rush through his good-byes. Instead, the president will demand Kim provide a “timetable” for his nuclear program’s demise. It is unclear exactly how extended a timetable the White House is willing to live with. Trump has been advised not to make any concessions at the summit — his decision to bestow the legitimacy on the rogue regime by taking the meeting being a concession in itself. 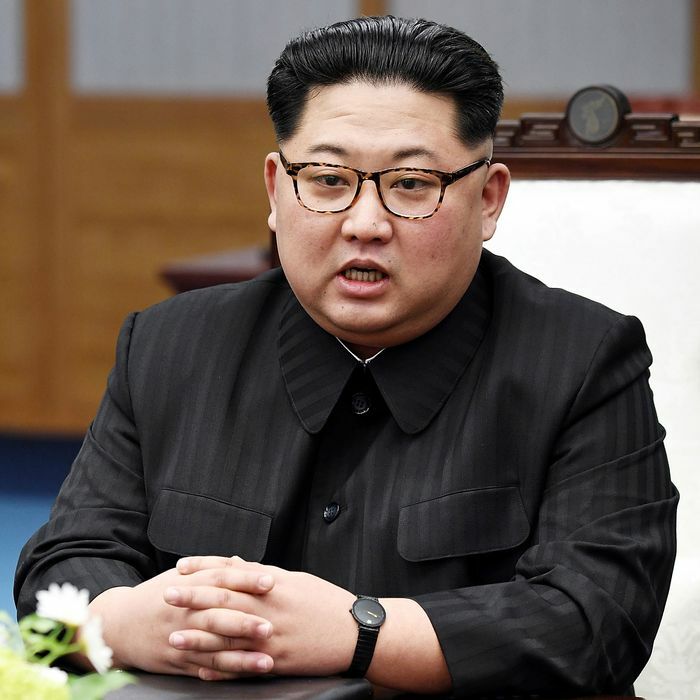 The president insists that he is prepared to storm out of the summit if Kim proves truculent, according to officials who spoke with Bloomberg. If “the two men hit it off,” however, Trump might just give his new friend an invitation to Mar-a-Lago this fall. Although he was kept out of last Friday’s meeting, Bolton will join the president in Singapore, alongside Secretary of State Mike Pompeo, Chief of Staff John Kelly, and the CIA’s top Korea expert, Andrew Kim, among other staffers. Pompeo is reportedly working to overcome the president’s infamous disinterest in doing his homework, doling out “eight-to-ten hours of briefings per week for several weeks,” according to Bloomberg’s sources. Most close observers of Kim’s regime believe it has no genuine interest in forfeiting its nuclear arsenal — at least, not without a verifiable American commitment to withdraw its military assets from the region, and kick South Korea out from under its “nuclear umbrella.” Still, even a protracted charade of denuclearization negotiations — fortified by friendly relations between North Korea’s autocrat and our wannabe dictator — is infinitely preferable to the game of atomic chicken that the two leaders were waging for most of last year.